The interview is part of a documentary, “Crimea. The Road Back Home,” scheduled to be aired by the Rossiya One TV channel. In the film, the Russian president has given new insights into the events leading up to last year's referendum in Crimea. 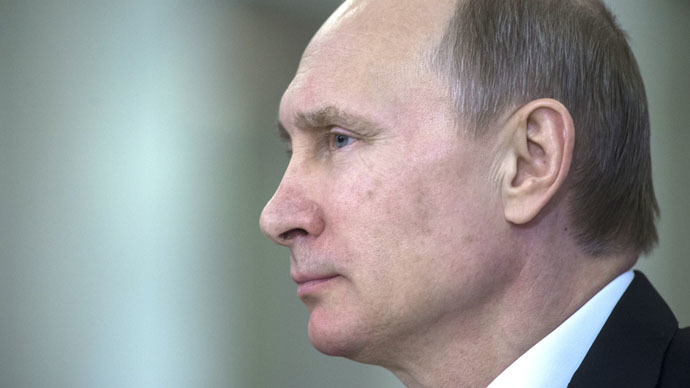 “We found out that 75 percent of respondents there wanted [Crimea] to join Russia,” Putin said. “We know the results of the referendum. And we did what we had to do,” the Russian leader said. Russian officials have dismissed criticism of the Crimean referendum, citing Kosovo’s unilateral declaration of independence as an example of self-determination praised by the West. “When it comes to international law and the attention it gets in particular in connection with the issue of Crimea, we would want our Western colleagues to have no less enthusiasm in dealing with other events in recent history,” Lavrov said.